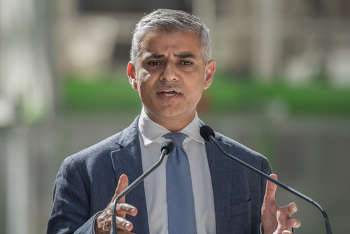 London mayor Sadiq Khan has slammed predecessor Boris Johnson for agreeing to the removal of central government funding towards operating Transport for London (TfL) but insisted that his transport budget was sound. He told the London Assembly Budget and Performance committee: ‘We are the only major public transport body in Europe not subsidised by central government. I mean it’s just astonishing. ‘I know people get upset when I criticise the previous mayor, but the previous mayor agreed a deal with government to get rid of our operation grant, £700m a year, roughly speaking, from central government. Mr Khan said he was confident that TfL’s budget assumptions were sound despite a fall in passenger numbers, something he referred to as a ‘blip’ although he acknowledged that people working from home or ‘watching the Crown on Netflix rather than going to the cinema’ were having an impact on travel patterns. Asked by Liberal Democrat assembly member Caroline Pidgeon how the condition of the capital’s roads would be affected by reduced spending on maintenance and renewals in his budget, Mr Khan said: ‘As a consequence of this Government’s policies, as a consequence of the last Budget in particular, less money will be spent on London’s roads to maintain them. We can’t run away from that. He added that London road users are also subsidising the costs of cleaning up polluted air in the rest of the country via the air quality fund. While stating that transport secretary Chris Grayling was sympathetic to the needs of Londoners and road users, he described the Government as ‘the most anti-London Government in my memory’. A Treasury spokesperson said: 'London has received more than £10bn in government transport funding since 2010 to help improve journeys, and the Government has supported projects such as Crossrail and the Lower Thames Crossing to transform the capital’s infrastructure. Comment: When does a coroner have to be listened to?